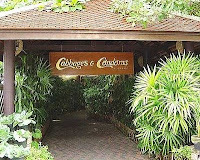 Imagine yourself visiting a Thai restaurant “Cabbages and Condoms” over a weekend with your friends. Apart from relishing excellent Thai food you enjoy looking at beautiful lampshades, clothing items, table settings and other decorations, all made out of condoms. At the end of the meal, along with coffee, instead of mint, you get … you guessed it. Now, we don’t need Sherlock Holmes to predict that you will be talking to your family and friends about this visit for the next few days or perhaps weeks. Emanuel Rosen calls this principle “Giving something to talk about” in his book Anatomy of buzz that explores how buzz is created and spreads. He asked his staff to distribute sample condoms. Some in the audience had no problem; others were more reluctant. He didn’t let them off the hook. He said, “The condom is really clean if your mind isn’t dirty. If you have a dirty mind, please don’t take one.” Then he invited those with the “cleanest minds” to join him onstage for a condom-blowing contest. Dozens of teachers ended up onstage. Michai said, “On count of three, start blowing your condoms. The one to blow up the largest condom in one minute will win a year’s supply.” Two thousand people were laughing uncontrollably. Imagine what a buzz this event would have generated! Very good application of the principle - give them something to talk about.